Parker's Barkers: Goldfinches are Back! 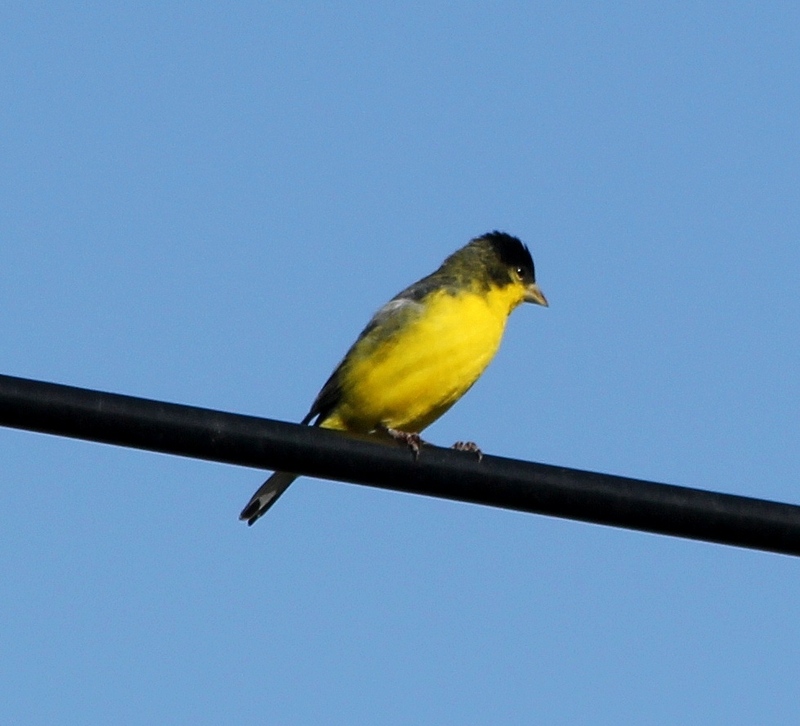 The Swallows may not have returned to Capistrano, but the Lesser Goldfinches have returned to our backyard! Bill and I were sitting on the patio and I had just remarked that I was sad not to see the variety of pretty migrating birds that we saw last May when this bright yellow bird landed on the overhead wires. Over the summer, our feeders are buzzing with Lesser Goldfinches - so much so that I don't usually take pictures - but this male is the first one back, so he gets special treatment. Welcome home! Inside the house, Bill & I set up a design wall in the spare bedroom. 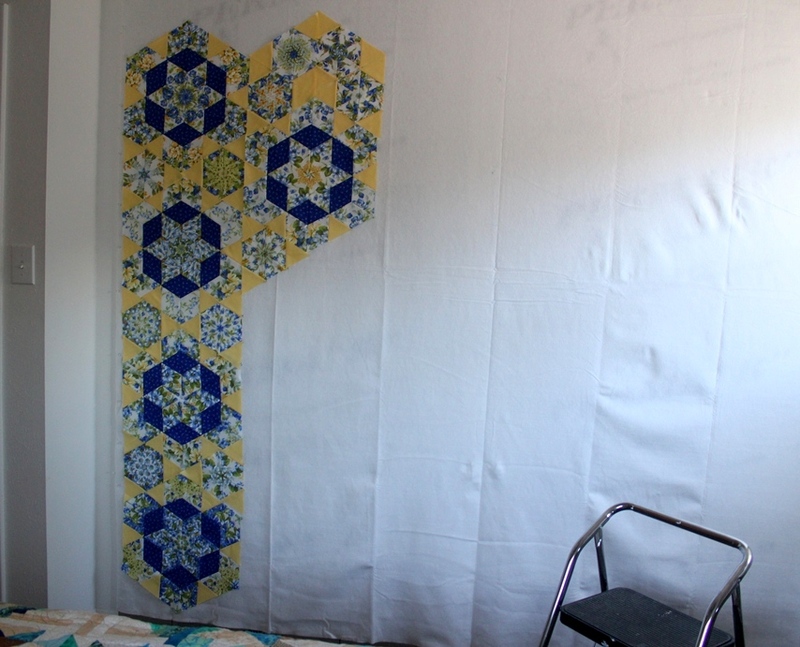 I moved all the furniture around to clear a wall for an 8' X 8' place to design my quilts. I used furniture "sliders" and was even able to move a heavy dresser all by myself! So far I'm happy with the way this quilt is coming together. 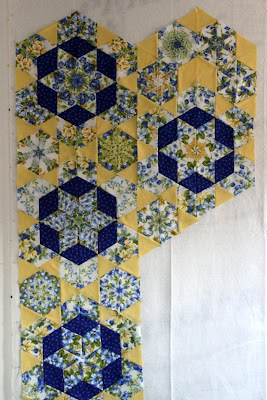 I love the blue and yellow; I must be a Michigan Fan.